What qualities help define people as gifted, and how do those characteristics relate to achievement in life? What does it mean to be exceptionally able, unusually intelligent and intense? “The vast majority of gifted adults are never identified. “Even those who were tested as children and placed in gifted programs often believe that their giftedness disappeared by the time they reached adulthood. From article The Gift of Being Uncommon. From her book Counseling the Gifted and Talented. 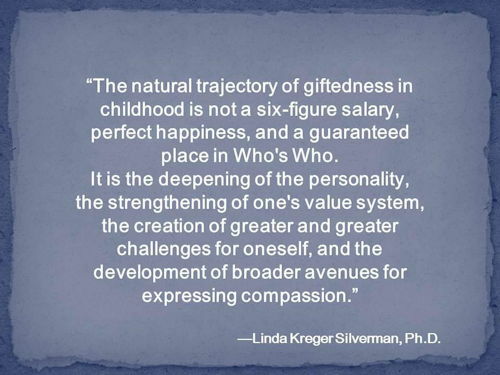 Linda Kreger Silverman, Ph.D. is Director of the Gifted Development Center. There are many factors in the lives of gifted people that impact their success and fulfillment on various measures, including reactions from others. From article Tall Poppy Syndrome, Things Aussies Like. 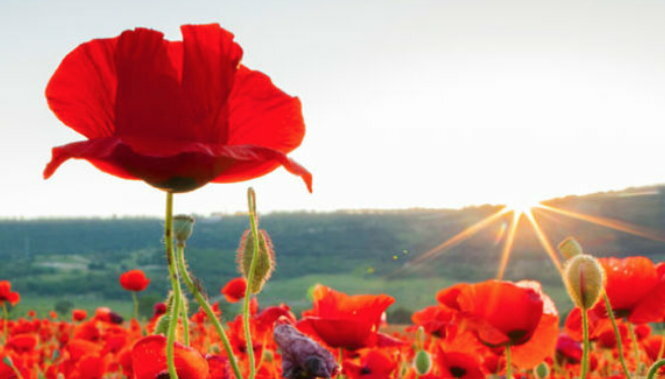 Photo from What is tall poppy syndrome?, Oxford Dictionaries Blog. While a number of qualities and attributes you may have as a high ability person (or your family and friends) are much needed to make the world a better, more humane and sane place for everyone, they can also be disruptive and challenging. What are some of the common characteristics of gifted children and adults? Are you a good problem solver? Can you concentrate for long periods of time? Are you perfectionistic? Do you persevere with your interests? Are you an avid reader? Do you have a vivid imagination? Do you enjoy doing jigsaw puzzles? Often connect seemingly unrelated ideas? Do you enjoy paradoxes? Do you set high standards for yourself? Do you have a good long-term memory? Are you deeply compassionate? Do you have persistent curiosity? Do you have an excellent sense of humor? Are you a keen observer? Do you have a love of mathematics? Do you need periods of contemplation? Do you search for meaning in your life? Are you aware of things that others are not? Are you fascinated by words? Are you highly sensitive? Do you have strong moral convictions? Do you often feel out-of-sync with others? Are you perceptive or insightful? Do you often question rules or authority? Do you have organized collections? Do you thrive on challenge? Do you have extraordinary abilities and deficits? Do you learn new things rapidly? Feel overwhelmed by many interests/abilities? Do you have a great deal of energy? Often take a stand against injustice? Do you feel driven by your creativity? 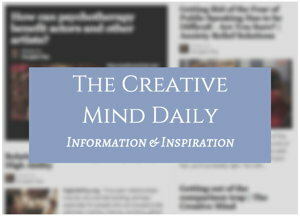 Love ideas and ardent discussion? Were you advanced developmentally in childhood? Have unusual ideas or perceptions? “If 75% of these characteristics fit you, you are probably a gifted adult. Adapted from the Institute for the Study of Advanced Development, Gifted Development Center. “Self-identification as a gifted adult is complicated by the great diversity among the gifted adult population. I have always hand an insatiable curiosity. I am able to run my mind on multiple tracks at the same time. I learn rapidly and retain / apply what I learn. I tend to be very independent. I tend to be less motivated than others are by rewards, bonuses, and praise. 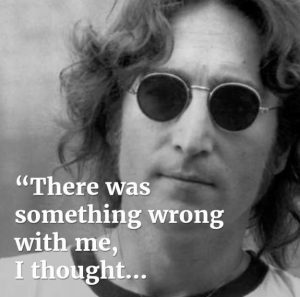 At times I have asked embarrassing questions or rudely pointed out truths at the wrong time. My preference for the complex can fool me into underestimating the simple answer. I like to refine and improve others’ innovations. I feel comfortable with a wide range of emotions. I can see many sides to nearly any issue. Honesty, integrity, and ethics are important to me. I can help others understand themselves better.I am a seeker and champion of ultimate truths. My nervous system is easily aroused, and I am able to discern the slightest changes in my environment (aromas, shifts in light, etc.) or detect irritants (e.g. scratchy sweater label). I can feel along with and for others. I set high standards for myself and for others, and am my own worst critic. I tend to look for consistency and security in systems, rules, and orderliness. I am often considered a “driven” person. I have maintained my childlike sense of wonder. I am intent on searching out universal truths. I am deeply disturbed by inequity, exploitation, corruption, and needless human suffering. I can and do work myself to exhaustion. Some people think I’m too serious. I have always been interested in social reform. I value and will defend diversity. I have a penchant for risk-taking. I can and do ignore my own needs for the sake of others. 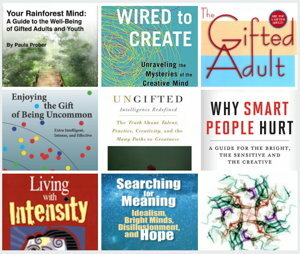 From site for the book by Mary-Elaine Jacobsen: The Gifted Adult. See more titles on the page Books – High Ability. For more characteristics, see page: Self-tests : giftedness / high ability. Also see Facebook article What Is Giftedness by Intergifted, Oct 29, 2016. How Pop Culture Stereotypes Impact the Self-Concept of Highly Gifted People.